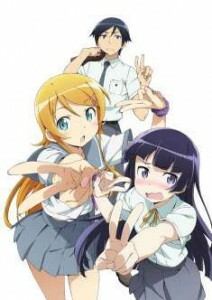 The Second Season of Oreimo will be streaming just hours after its initial airing in Japan! SANTA MONICA, CA (March 4, 2013) – Following its recent release of the Oreimo Blu-ray Disc Set last month, Aniplex of America Inc. announced the acquisition of the second season of Oreimo and that the series will be streaming online. Oreimo’s highly anticipated sequel will be available streaming just hours after its initial airing in Japan. After Kyosuke and the others overcome the crisis of Kirino suddenly leaving to study abroad, what kind of craziness will her “life counseling” cause next? In addition to their streaming plans, Aniplex of America is also planning on a home release version of Oreimo 2 on disc. Details about the physical release will be announced on a later date. A synopsis on Oreimo 2: Kyosuke Kosaka is a high schooler who has been leading a quiet, humdrum life. However, his life is turned upside-down when his little sister, Kirino, comes to him for “life counseling.” It turns out that Kirino, a well-rounded winner in life, has many otaku-ish hobbies and loves anime and games. Kyosuke sincerely takes on Kirino’s request to tackle life counseling. And so, as more and more people get involved–including Kuroneko and Saori Vageena, whom Kirino met via social networks; Kirino’s friends, Ayase and Kanako, and Kyosuke’s childhood friend, Manami–changes to their icy cold brother-sister relationship begin to appear. After they overcome the crisis of Kirino suddenly leaving to study abroad, what kind of craziness will her “life counseling” cause next? Aniplex of America Inc. (Santa Monica, California) is a subsidiary of Aniplex Inc. (headquartered in Tokyo, Japan), a group of Sony Music Entertainment (Japan) Inc. and leading provider of anime content and music production and distribution in Japan. Aniplex of America has launched fan-favorite DVD and Blu-Ray releases such as Bakemonogatari, Durarara! !, Puella Magi Madoka Magica, the Garden of Sinners and Blue Exorcist. The company’s ever-growing line-up of shows includes our most recent titles, Sword Art Online, Magi, Blast of Tempest, Oreshura and Vividred Operation.